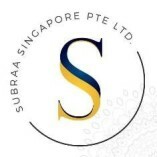 Subraa-The one-stop solution to meet your entire freelancing web designing, logo designing, development services, and more at the most inexpensive prices! I have years of experience and professional technical skills to support your entire web design requirements. Visit my website for more info!